When life gives you lemons...Make gin and tonic! Classic gin and tonic with a pomegranate splash. Gin and tonic with blood oranges... It includes fruit, that means it's good for you. Right? Tart and sweet yet SO easy to sip. Give the classic gin and tonic recipe a twist and add some fresh fruit and herbs to the mix. It gives the cocktail a deliciously subtle flavour and looks freaking incredible. The upgrade of ALL upgrades. We love everything about this. Cherry and gin are a match made in cocktail heaven. Gin and tonic in jelly form. Do we need to say much more? Gin and tonic with coconut, this cocktail practically screams SUMMER! 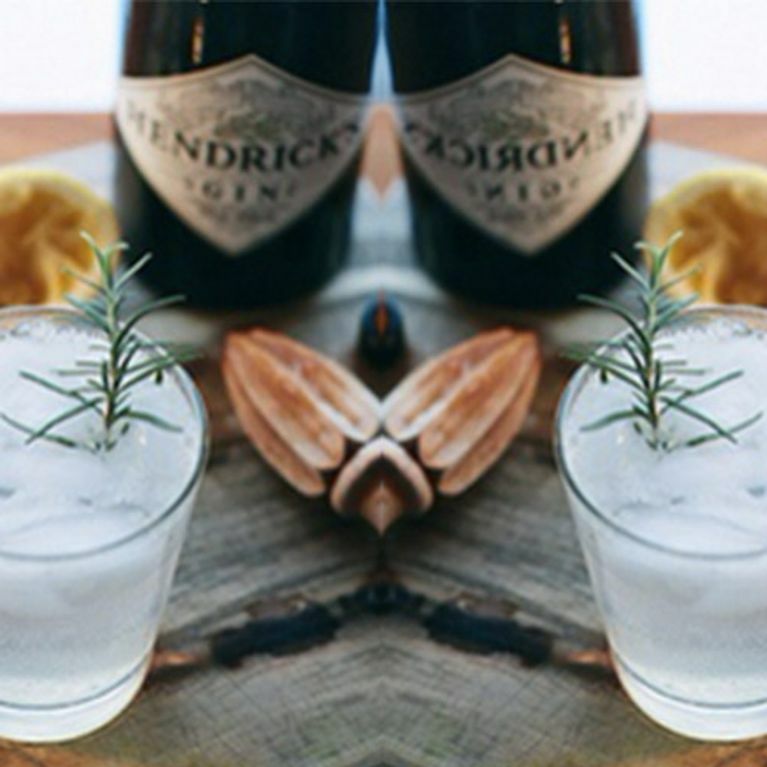 Add a slice of cucumber and throw in a sprig of rosemary to take the gin's herbal flavours to a whole new level. A fresh twist on the classic G&T. If you love gin and tonic as a drink, you'll love this gin and tonic sorbet even more. It makes for a delicious summer treat. Gin and tonic with balsamic vinegar soaked strawberries, topped with basil. This is so much better than you can imagine. The perfect cocktail to sip on while lounging on a lawn chair. Gin and tonic with sage honey syrup, a fresh cocktail to unwind on a warm summer evening. Will you be trying any of these? Tweet us @sofeminineUK!